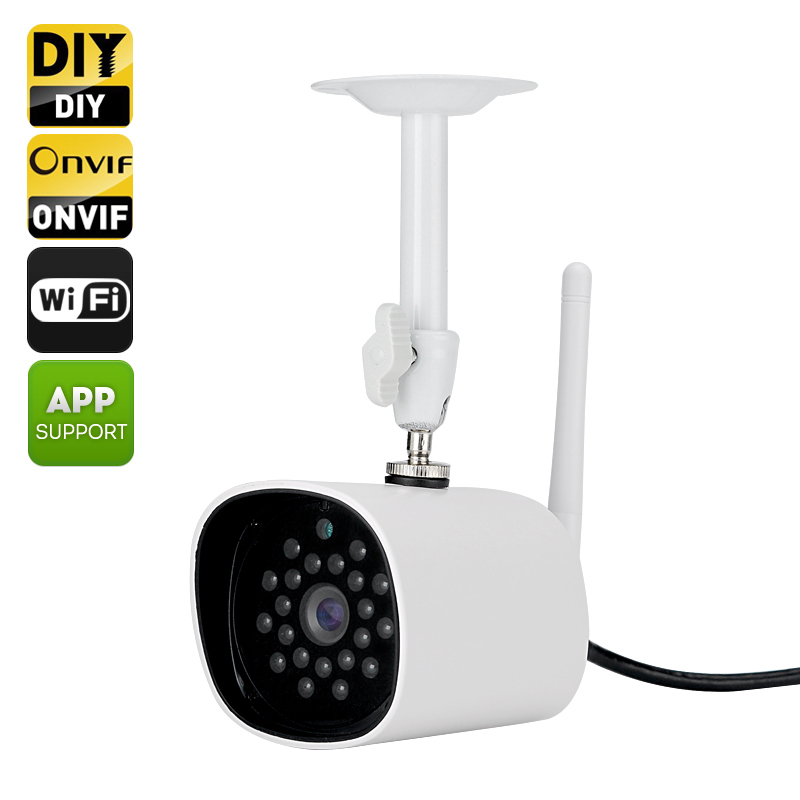 Successfully Added HD Wi-Fi IP Camera - 1/3 CMOS Sensor, IR Cut, Night Vision, Android and iOS Support, SD Card Recording, ONVIF 2.0 Support to your Shopping Cart. A handy tool for your home or office security, this HD Wi-Fi IP Camera will help you keep an eye on your property and report any suspicious activity. This compact IP cam is a great and simple tool for security and surveillance. With 720P resolution and 1/3 inch CMOS sensor, you will get great quality video and photo feedback. With ONVIF 2.0 support, the camera can be a great addition to your existing security system or a standalone surveillance gadget. Having 21 IR LEDs the camera comes with up 30 meters night vision - so, even after dark, you will have a clear image of the surveyed property. Thanks to motion detection, the Wi-Fi camera will be able to instantly alert you when it senses intruders and even send a snapshot of the unwelcome guest to your email box. Remote viewing is enables with Android and iOS support - simply download the dedicated app. You can, of course, view the video feedback on your computer (IE 6.0, Google Chrome, Firefox and Opera browsers). The system supports 4 online visitors simultaneously. The camera is also capable of recording up to 16GB of footage on its built in memory. With Wi-Fi support you have a quick and hassle free setup that not restricted by network cabling and brings you the freedom to mount this camera wherever you like. The HD Wi-Fi IP Camera comes with a 12 months warranty, brought to you by the leader in electronic devices as well as wholesale IP cameras..